The Queen City also makes a great jumping off point for a day trip or weekend getaway to these nearby attractions. There’s plenty to do in North Carolina’s largest city, to be sure – just take your pick from Charlotte’s museums, craft breweries, nightlife and more. But the Queen City also makes a great jumping off point for a day trip or weekend getaway. Here are eight ideas for nearby attractions to explore in the Charlotte region. Catawba County, especially the town of Hickory, has been a world center of furniture design and production for decades. Savvy buyers will think they’ve found heaven when wandering the Hickory Furniture Mart, Designers’ Choice Furniture Galleries or any of the other numerous outlets that offer thousands of square feet of every type of furniture and accessory imaginable. 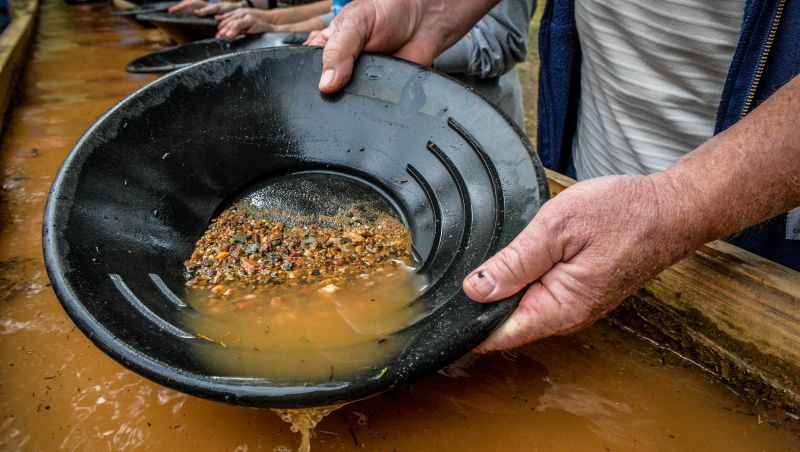 Reed Gold Mine is the site of the first documented gold find in the United States and contributed to North Carolina leading the nation in gold production until 1848. Portions of the underground tunnels have been restored for guided tours. A visitor center contains exhibits of gold and historical mining equipment, and tours of a restored ore-crushing stamp mill are offered. A picnic area is available, trails wind through the historic mining area and you can even try panning for your own gold. Built in 1756, Fort Dobbs once marked the westernmost frontier of the North Carolina colony and provides a window into the tumultuous period of history known as the French and Indian War (1754-1763) or Seven Years War. It served as the military headquarters for the frontier company (approximately 50 men) as well as a safe haven for settlers. The site offers an ongoing schedule of special events and historic interpretations. 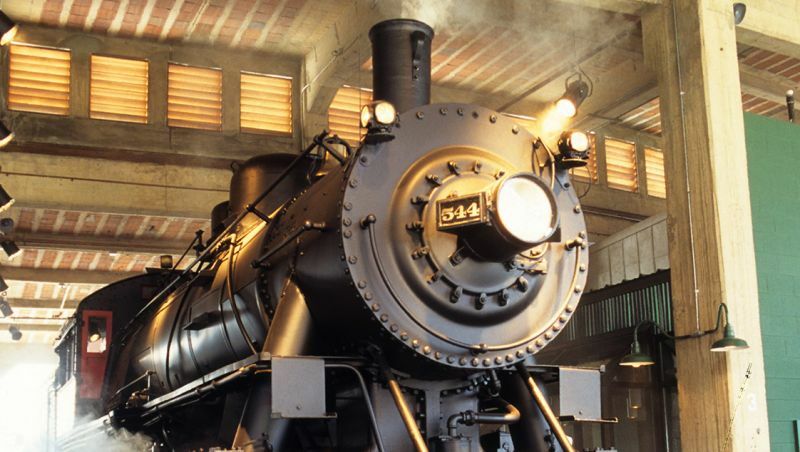 Train enthusiasts flock to the North Carolina Transportation Museum, located on the site of what was once Southern Railway Company’s largest steam locomotive repair facility. The 57-acre complex features an authentic train depot, antique automobiles, and a 37-bay roundhouse that includes 25 locomotives, dozens of rail cars and other exhibit areas. The museum offers seasonal train rides, guided tours for groups and special events throughout the year. History buffs are drawn to Salisbury for its rich background spanning more than two centuries of history, from the days of Daniel Boone and Andrew Jackson. Salisbury’s 30-square-block historic area includes the Dr. Josephus Hall House, built in 1820 as the Salisbury Female Academy, and the Utzman-Chambers House, an 1819 Federal townhouse. A guided audio walking tour is available from the Rowan County Convention & Visitors Bureau. The National Cemetery and Confederate Prison site was dedicated in 1874 and is the final resting place for veterans of all wars, including 11,700 Union soldiers who died at the Salisbury Confederate Prison during the Civil War. Crowders Mountain and Kings Pinnacle are remnants of an ancient mountain range. 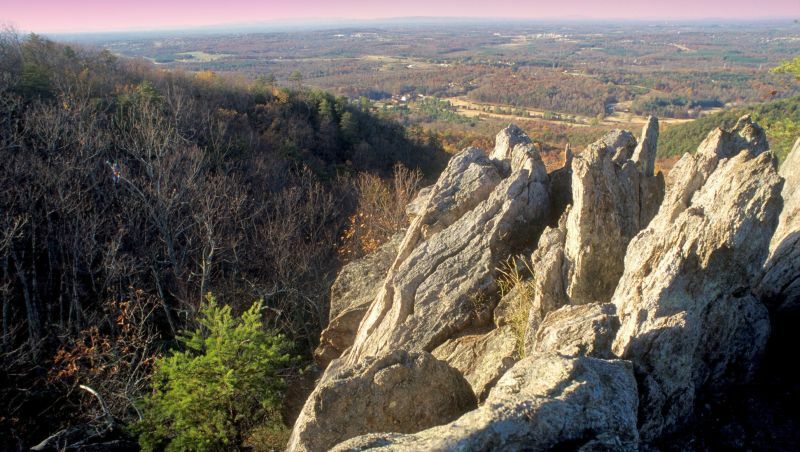 At an elevation of 1,625 feet, Crowders Mountain is a registered natural heritage area that features sheer vertical cliffs ranging from 100 to 150 feet in height. Kings Pinnacle, by contrast, has a round, gentle profile and reaches an elevation of 1,705 feet. The 5,000-acre park is a favorite place for nature-watching, camping, hiking, rock climbing and picnics, with a lake perfect for canoeing and fishing. Mooresville is known as “Race City USA,” and an ideal place to start is the North Carolina Auto Racing Hall of Fame with its display of over 35 cars representing all types of auto racing. Pick up a map there and then head out to tour the shops of many of NASCAR’s prominent teams, as well as DEI with its showroom and displays dedicated to the career of Dale Earnhardt. More than 350 acres of rolling meadows, woodlands and lakefront property make up a botanical paradise that features large manicured gardens and natural areas, including a woodland trail and collection of fountains. The Orchid Conservatory is the region’s only public conservatory devoted to the display of tropical plants that enable visitors to learn about tropical ecosystems around the world.